1. You are dazzling other road users. Leaving your fog lights on increases the glare for other drivers and reduces their visibility. Fog lights are purposely located close to the ground and therefore their light is reflected off the surface of the road increasing light glare and dazzling other drivers. This is especially true when the road is wet and the surface is like a mirror. Older drivers are easier to dazzle and frankly it’s not a good idea to dazzle people who are driving towards you at speed. 2. Using your fog lights in clear conditions reduces your own visibility. Fog lights are designed to light up the surface very close to the front of a car, to aid the driver in poor visibility when driving slowly. But in clear conditions this extra glare and light in the foreground will obviously reduce the drivers’ ability to see far ahead. It might feel like its better to have all your lights turned on, but its not, you need to see in the distance when driving. Just consider how much you would be able to see if someone pointed a flash-light at your eyes when it’s dark. 3. Many fog lights are misaligned. As a result of driving over pot holes and rough surfaces many front fog lights are misdirected/ misaligned. Therefore your lights might be pointing directly at the eyes of oncoming drivers and this is another reason not to have them on during clear conditions. 4. You are showing your own ignorance. If you are driving with your fog lights on at all times, you are showing that either you don’t know how to work your car or that you don’t care if you blind other people. Either way you are showing in a very visible way that you are ignorant. The response of the police. I was speaking to the police recently about this issue; I had been stopped at a random checkpoint and breathalysed and as there was very little traffic about we started to have a chat. One of the officers said it annoyed him too, but it was difficult to prosecute drivers in Ireland for it, other than under the offence of ‘driving without due care and attention’. By contrast in Germany I understand you are immediately pulled in by the police if you had your fog lights on during clear conditions. 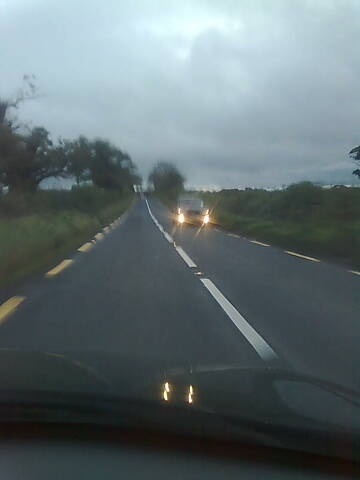 To finish, don’t be an idiot, turn off your fog lights unless there is fog or poor visibility. This seems to be a problem over much of the world. Some drivers keep them on simply because they are supposed to “look cool”, like a pathetic sort of status symbol. Here in the USA, some local jurisdictions enforce the laws against fair-weather use of fog lights and some just don’t bother. I make a point of being more courteous and accommodating to drivers who don’t use them inappropriately and more passive-aggressive toward those who do. For most people I think it is a case of “it is foggy therefore I put fog lights on”, but the Highway Code says only put them on in really bad fog. 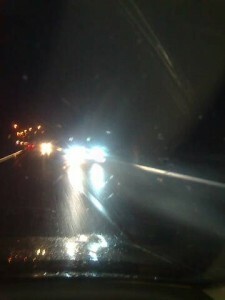 I think people do to show that they have fog lights. This was true when they first came out but I do not know why now? its my car ….mI paid for it …..I’m paying $3.99 a gallon for gas ….I pay the insurance…. i pay for auto repairs….I’ll burn my fog lights if I want to! Hello,I check your blogs named “Turn off your fog lights when there is no fog! – The Helpful Engineer” like every week.Your writing style is witty, keep up the good work! And you can look our website about free proxy.